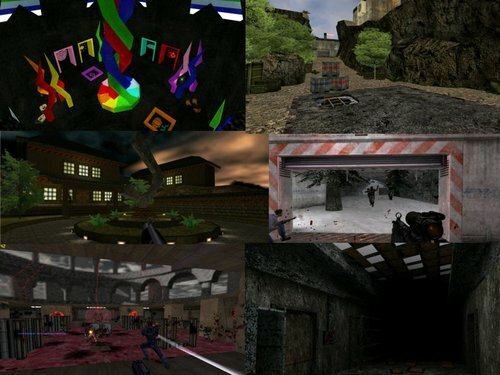 This map pack contains all entries to the 2009 Sven Co-op Map Contest, excluding Psyko and Dead Simple Neo 2 (included with he Sven Co-op), and Propanic, which will be released in a separate package. These maps were designed for use with Sven Co-op version 4.07 and above. excluding the 1st, 2nd and 3rd place winners (released separately). IMPORTANT: This archive should be extracted to your Half-Life\ folder. See the maps' individual README or MOTD files for full credits. CryoKeen, JPolito, and all contest judges! Noesis Interactive, for providing additional contest prizes! can provide no assurances or warranties. Use at your own risk. unchanged and are made available to users at no cost. Note: Psyko (1st place) and Dead Simple Neo 2 (3rd place) were included with version 1 of the map pack, but are now bundled with Sven Co-op 4.5. Propanic won 2nd place in the contest, but wasn't ready to be included in this pack. I just downloaded the SC Map DB archive and there are no file corruption issues. Try redownloading the archive. This is very old. Some of these maps have been renamed and updated long ago. That may be why they crash. You can find all of them here individually though, no need for a pack. I have 3 takes ago downloaded and uploaded on fastdownload and server but the files, i join on server. this would be pretty easy to repack, but i don't see a record of the included maps being updated on their individual pages.